Hurricanes coach Paige Yaroshuk-Tews expects commitment from every player. After all, winning more than 350 matches requires a team effort. 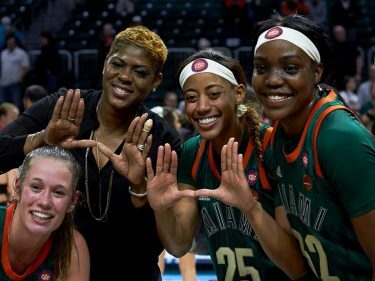 And through her years of experience, Yaroshuk-Tews saw right away that freshman Daevenia Achong would dominate the court from the start of her University of Miami career. Achong’s passion on the court stems back to her days in Geleen, a small town in the Netherlands. While just 3 years old, Achong went along with her brother, Gemayal, to his tennis practices and picked up the dropped balls. Achong continued her tennis training, excelling on the court. She competed in tournaments across Finland, Kenya, the Netherlands, South Africa, Spain and Sri Lanka. Achong secured multiple national tournament championships in her home country in both singles and doubles and won a Grade 4 singles championship in Kenya in 2016. She peaked at No. 224 in the ITF Juniors rankings in January 2017 and several university and professional coaches wanted Achong to join their team. But it was clear Achong wanted to receive an education while enhancing her game. 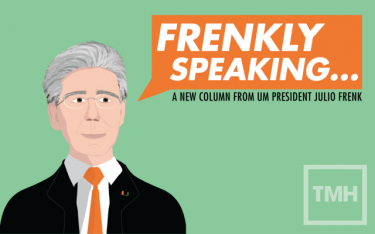 So, she decided to attend the UM, which to her, was an easy choice. Achong enrolled in January, and it became clear that she was ready to learn and get better in every practice. Achong recognizes Perez-Somarriba’s seniority and skill. The freshman was eager to enhance her knowledge from the second-ranked tennis sensation. Achong’s attention to detail and hard work has paid dividends throughout her early collegiate career. In just her first semester, Achong has been tabbed Atlantic Coast Conference Player of the Week twice and ACC Freshman of the Week three times. The play can be very different in the United States compared to the Netherlands, especially since Achong is a part of a team rather than constantly focusing on her individual play. Every player on the team wears a visor during practices and games— Achong is the only exception. Instead, she wears a slick, black bandana across her forehead. Though the individualistic spirit is there, Achong continues to focus on consistency and listening to her teammates on and off the court. 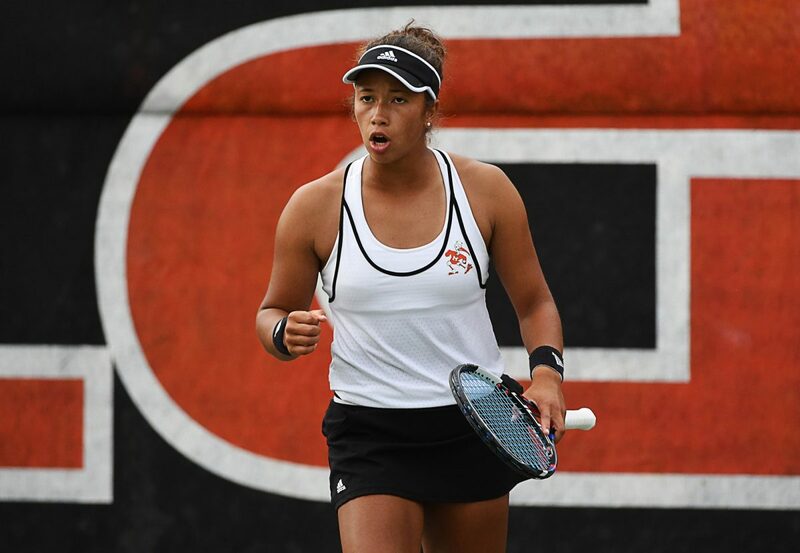 Achong finished the regular season with a 15-8 record in singles action and a 16-4 mark in doubles play. Achong and senior Daniella Roldan form the No. 20-ranked doubles pair in the country. 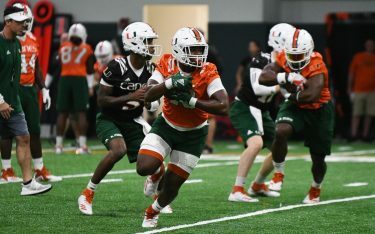 Although Yaroshuk-Tews recognizes Achong’s talent, she knows the Dutch phenom still has a lot of work left at UM. While the future is still undetermined, Achong’s father knows that she will be able to piece everything together. “Daeve is very dedicated, eager and focused with hard work to reach her goals,” he said. Achong and the 25th-ranked Hurricanes return to action April 18 when fifth-seeded Miami plays in the ACC Tournament.